It is time again for the bi-monthly digest of R and data science news, useful for biology and oceanography in general. This time, April and May 2015! Always follow the links to get to the article and see the complete example or tutorial. a) A new version of R (“Full of ingredients”) is online for already some time. It plays nicely together with the new R-studio version which came out recently. I am using both successfully without any bugs. Especially the R studio update is useful since including syntax completion and dark, eye-friendly themes. b) A curated list of the best add-ons for R, – no need for further words. a) Confusion matrices/heatmaps – Since using them lately a lot myself I came across a few good articles and news that I want to share. Here a heat map for the example R dataset “iris” with annotated Pearson correlation tree: I find this useful because of the extra and easily visible information we get on the matrix. 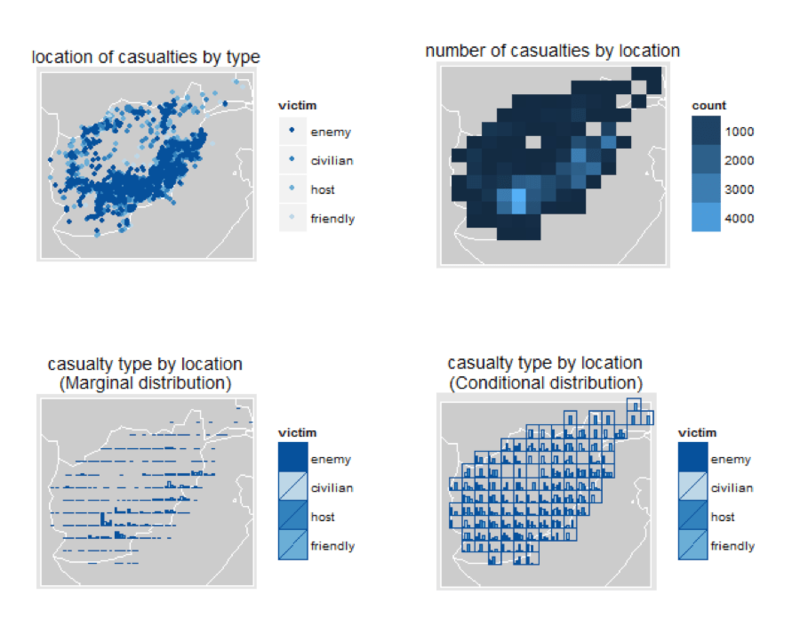 c) Large scale time series in a heatmap? Possible and communicating a lot of information very clearly! 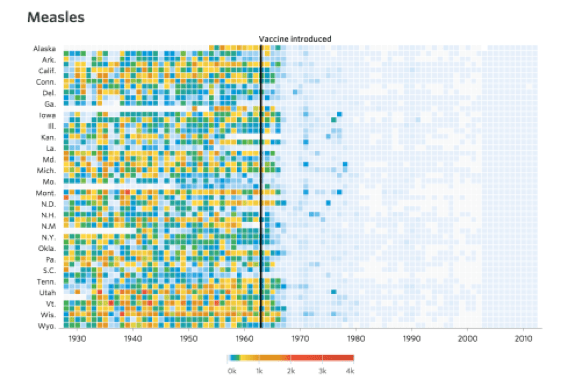 Check out the article and following heat map on historic measles outbreaks over time. These interactive graphs are perfect for visualizing climate change data and show just how much better we can communicate science with modern plotting engines. e) Embedded graphs! Look at the smooth way that information can be overlaid on a map for example: Here we see US Army casualty data for Afghanistan (from wikileaks). Strinking is the amount of data points for civilian victims. 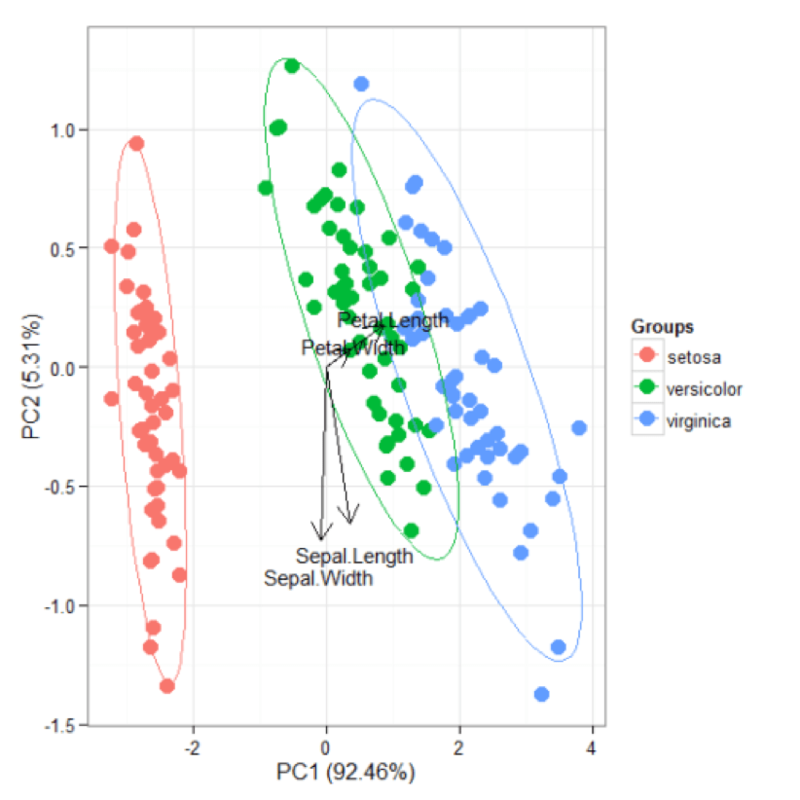 The datacamp platform for R/statistics/data science learning includes now also swirl, an R package for interactive learning (I used it briefly as part of a coursera class I took (R programming by John Hopkins University) and can recommend it. In another headline datacamp now offers all tutorials for free! b) Statistics with R textbook: Nicole Radziwill author of ”Statistics (the easier way) with R” says that the innovation of the book is it’s completeness, including all steps necessary to recreate examples and giving every piece of code. c) Analytics Vidhya. This website collects a variety of articles including basic data science but also how to tune your RandomForests model parameters. Definitely worth checking from time to time. a) Ordination biplots in ggplot2. A nice article that covers a lot of ground on how to make ordination plots. 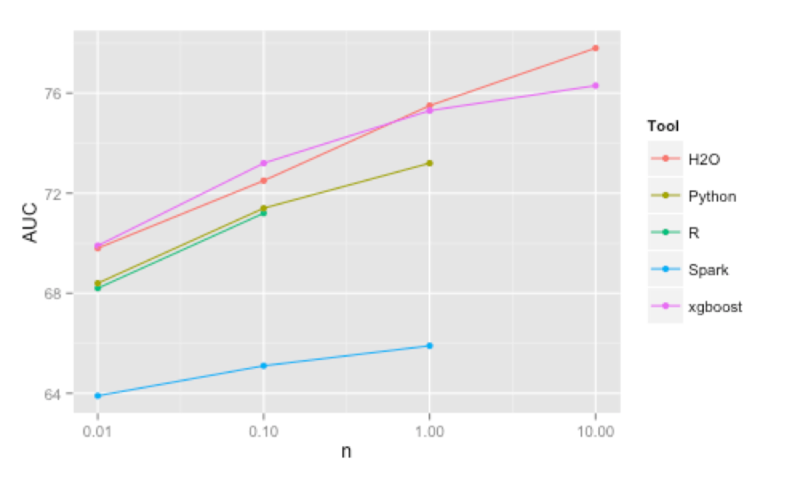 b) A benchmark of R implementation! This is also personally a very interesting benchmark since I am working a lot with RandomForests (however with the implementation by SalfordSystems. Next, one should compare Salford’s version to the H2O version). In this graph we see how the accuracy measure “Area under the ROC curve (AUC)” varies for different RandomForests implementation. H2O achieves in this test the highest AUC values.